As far as classic games on the old Commodore Amiga, Core Design's Rick Dangerous is well up there in TechRadar's top five. And the news that an iPhone version is now available has sent a flutter of excitement through the elderly members of the news team. The Amiga classic – featuring the cartoonish Indiana-Jones-like adventurer Rick and lots of clever positioning of dynamite sticks – has been lovingly ported to Apple's iPhone courtesy of French developers Magic Team. If you regularly find that you fancy fighting some cartoon Nazis on the bus, then there really has never been a better game in which to do so. 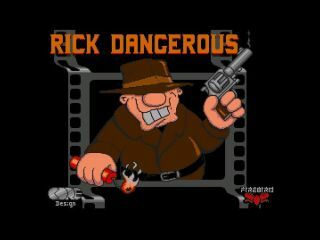 One thing we are still unsure about is the presence of onscreen D-pad controls in Magic's latest version of Rick Dangerous. Head to the iTunes Store to check it out for yourself and let us know your thoughts.